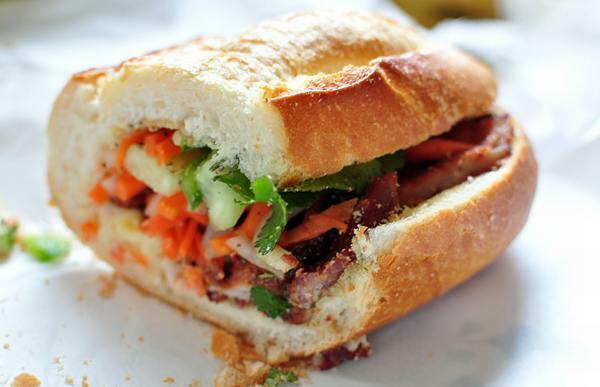 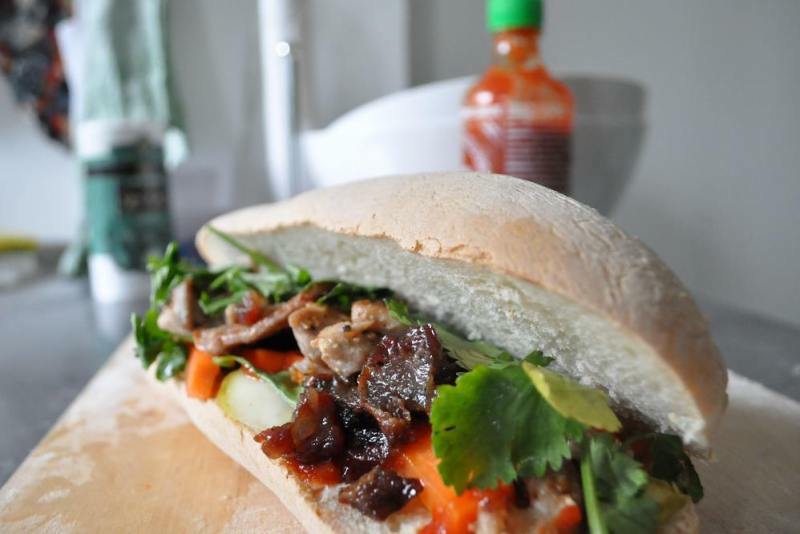 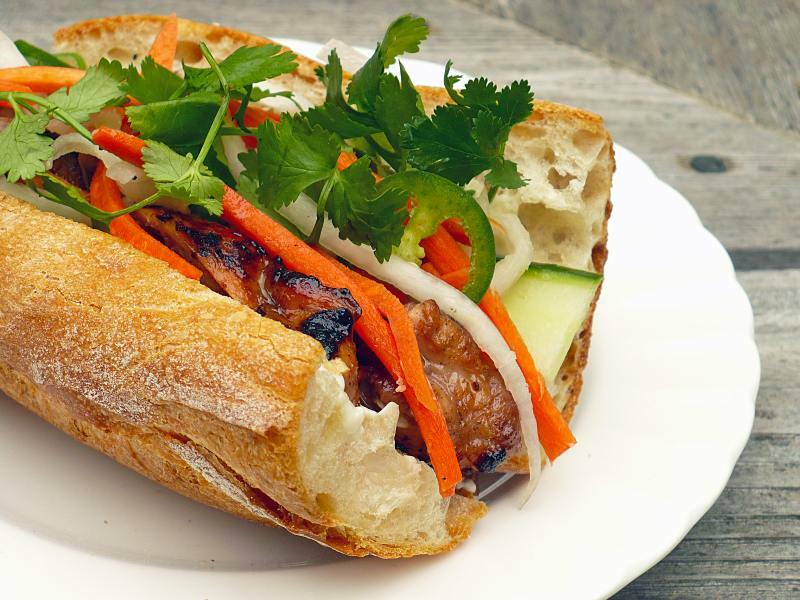 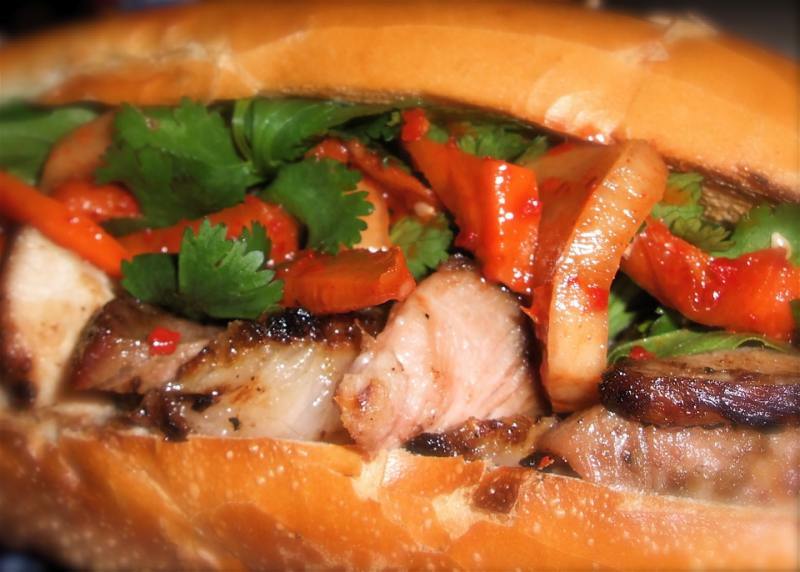 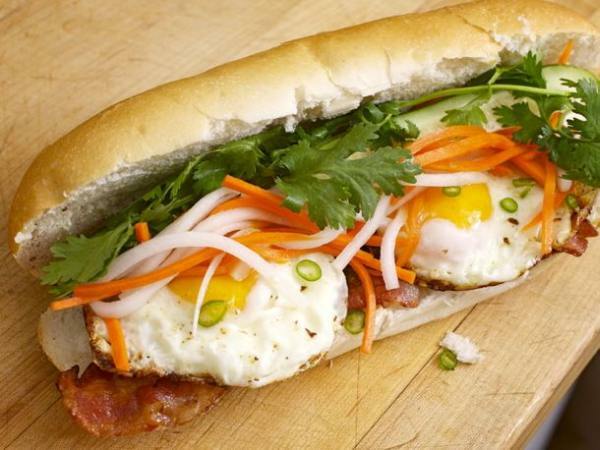 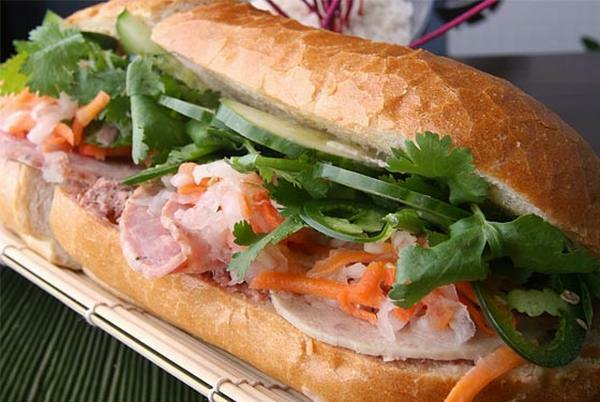 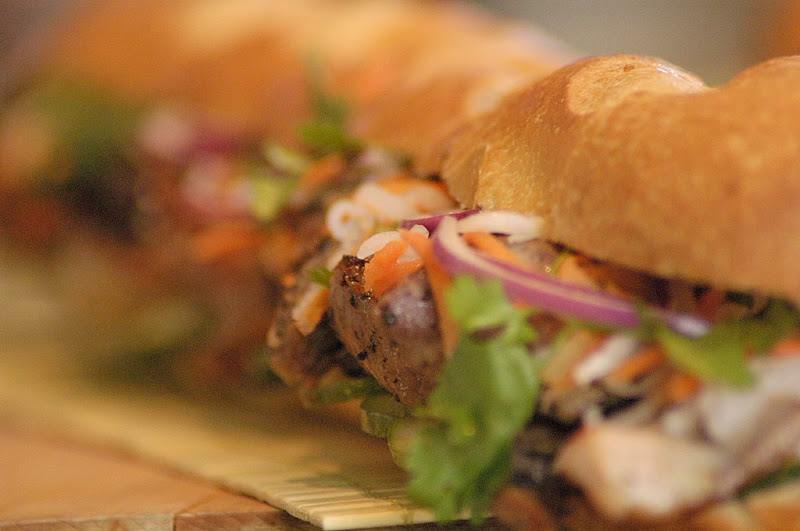 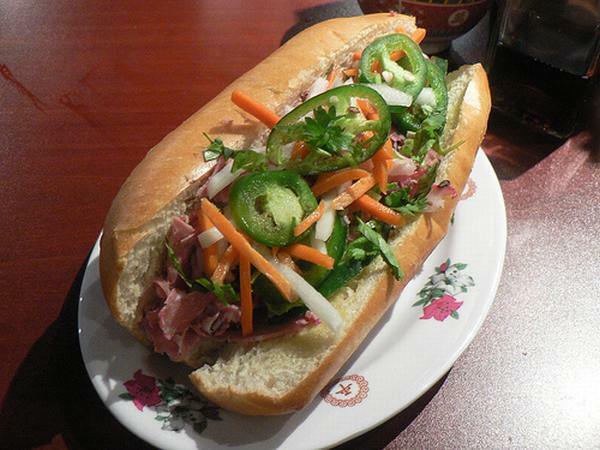 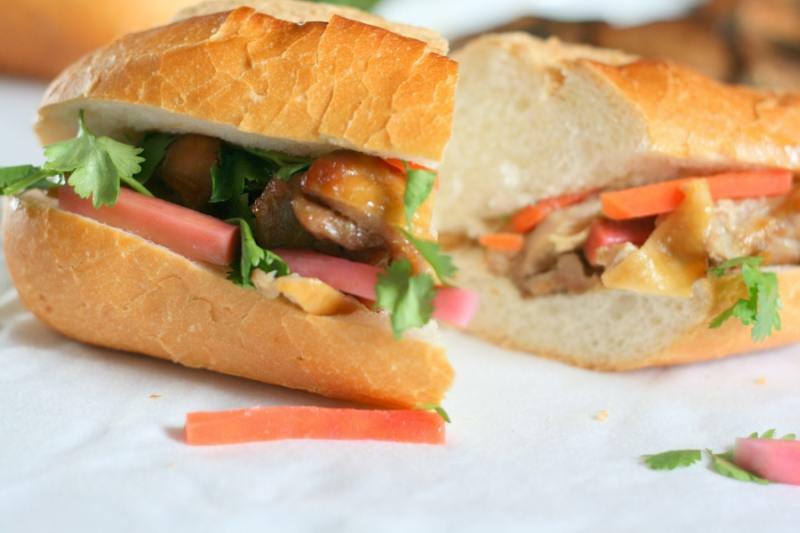 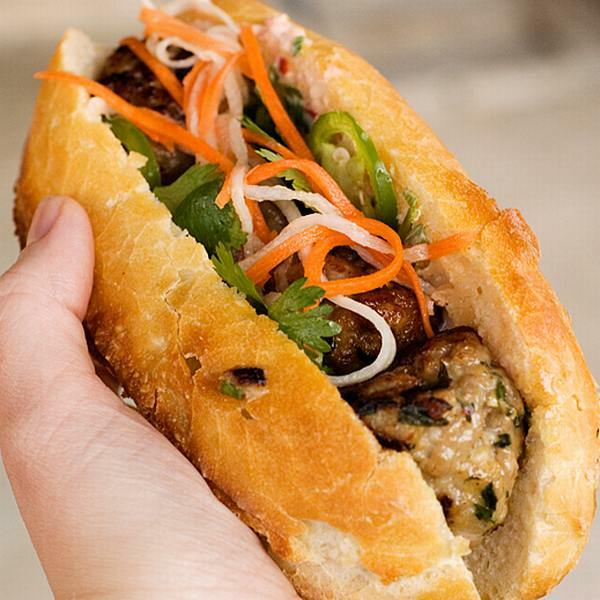 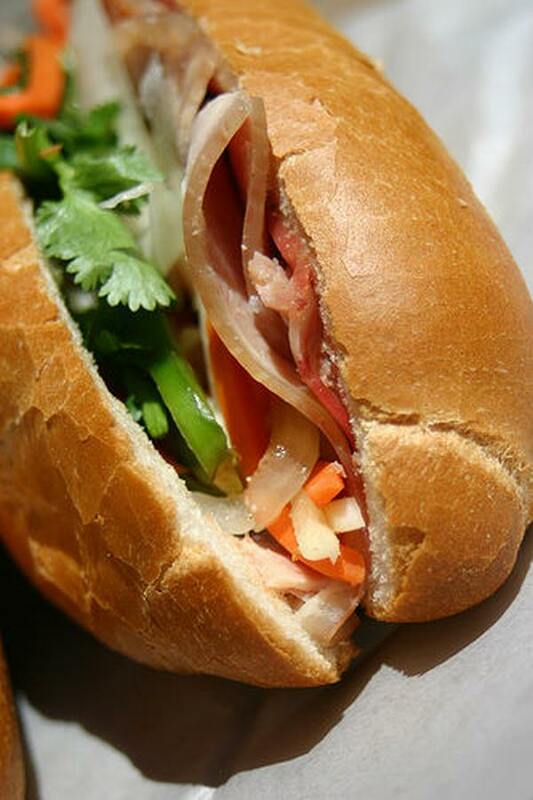 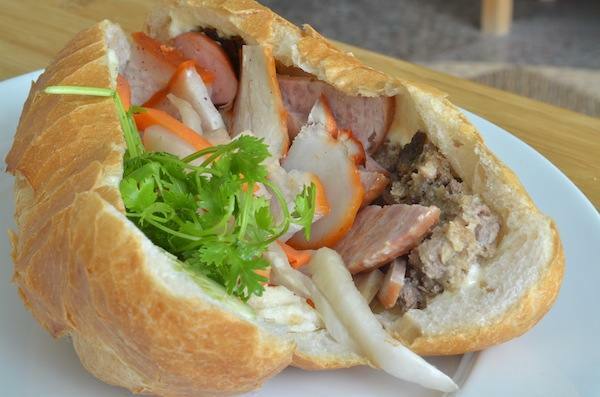 The Vietnamese sandwich, a.k.a. 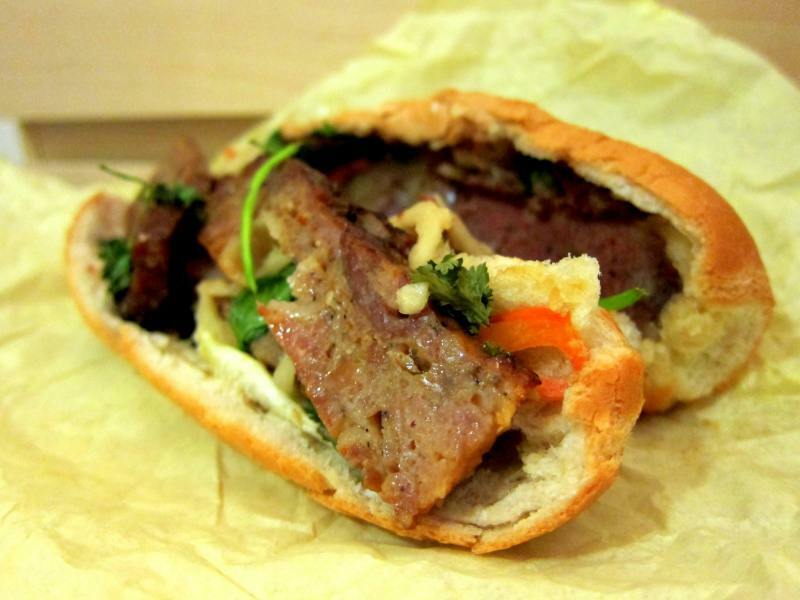 bánh mì, is the epitome of cheap, good food. 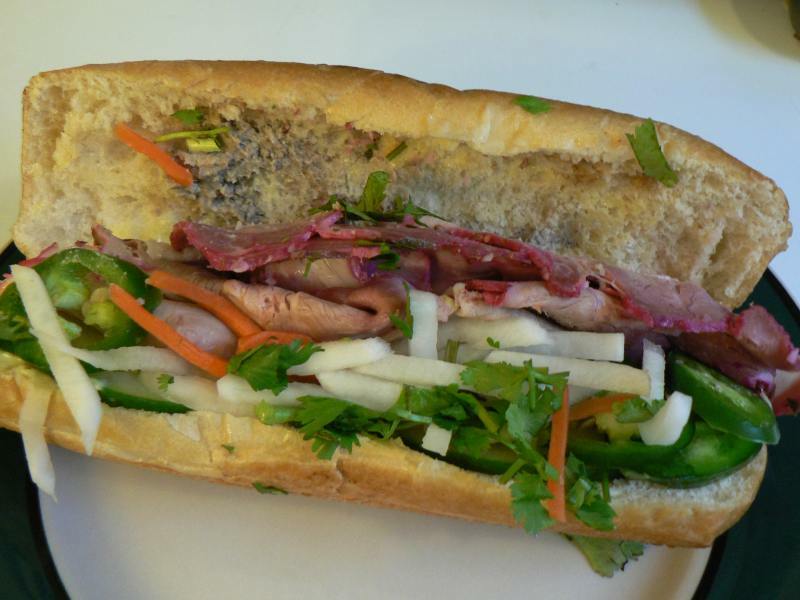 The name is a Vietnamised version of the French baguette. 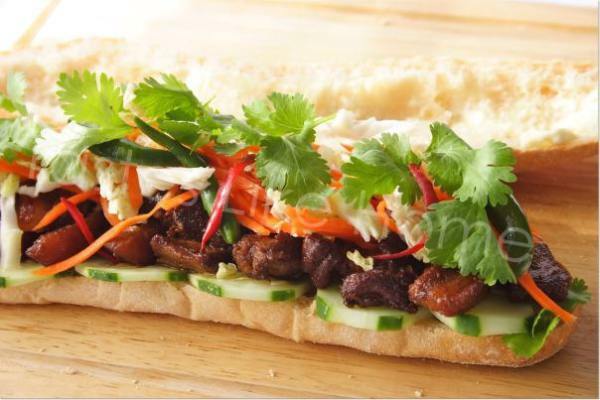 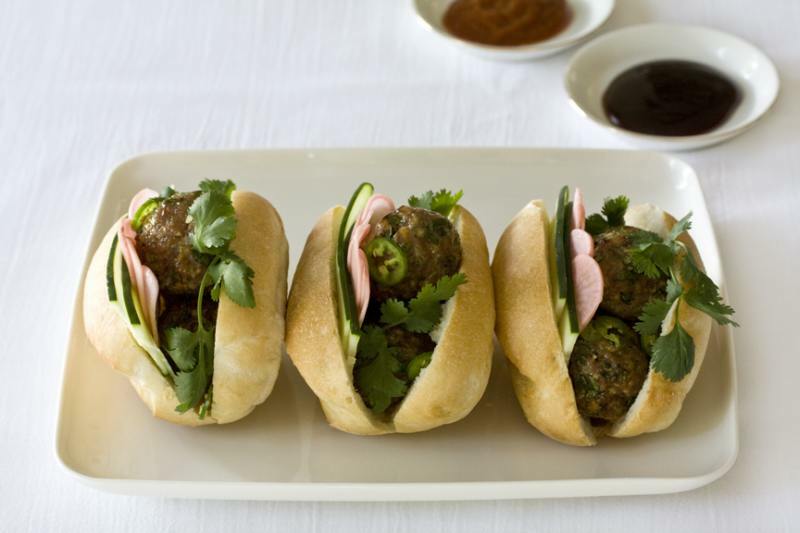 A crisp and fluffy baguette is filled with a variety of meat, vegetables, herbs and sauce. 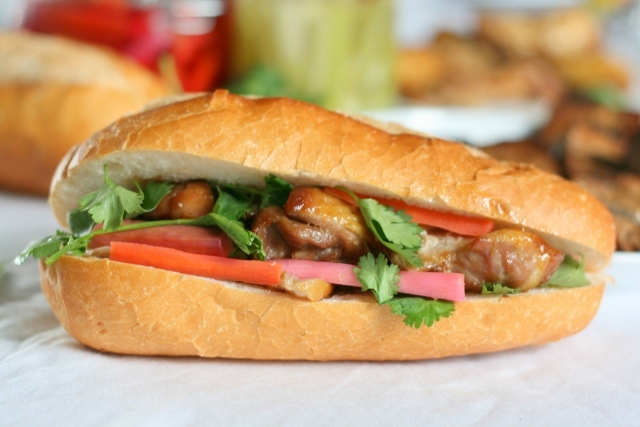 It is the ultimate street snack and it is absolutely delicious!